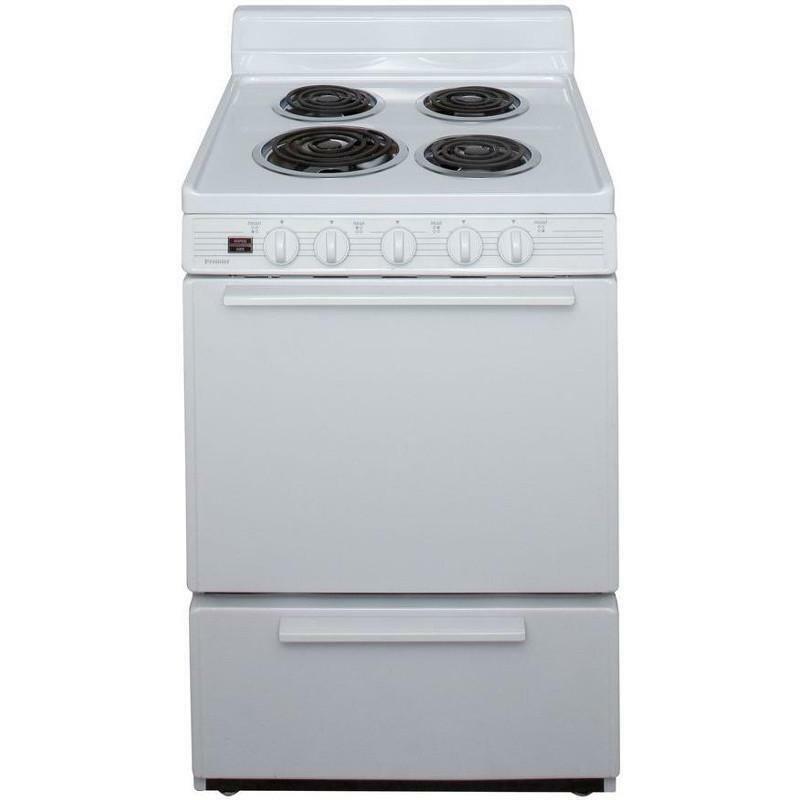 Premier offers a 24" freestanding electric range with a 2.97 cu. ft. capacity and four coil element. The white appliance features a surface element signal light, a storage drawer and a 4" porcelain backguard. 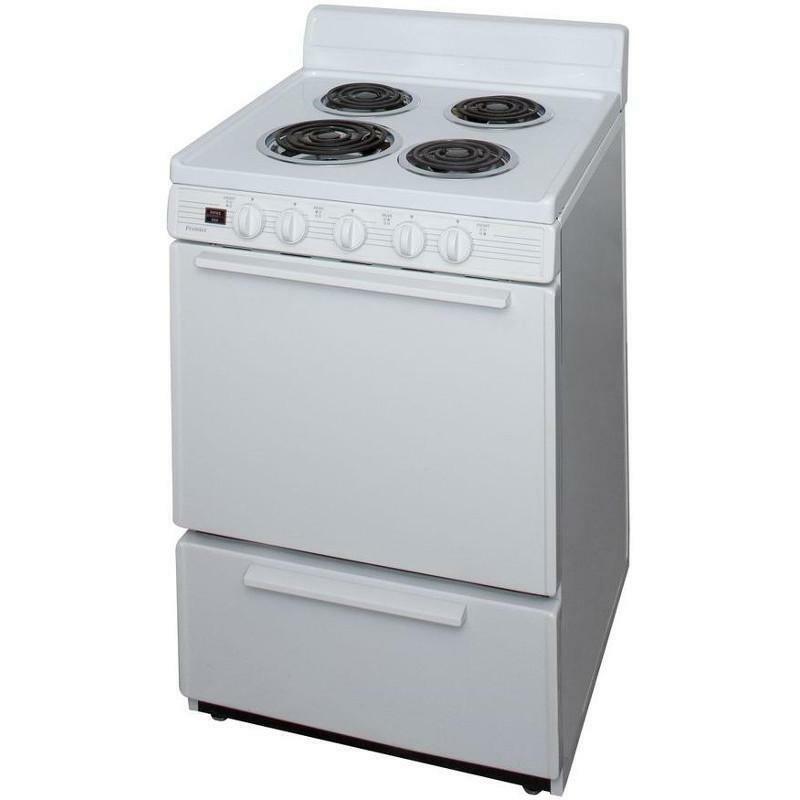 This range also provides two heavy-duty oven racks, closed door broiling and a low 150 degree thermostat setting. Full width storage drawer provides additional, much needed, storage space. Porcelain coated with lift up top and support rod. Recessed Design keeps spills in place. 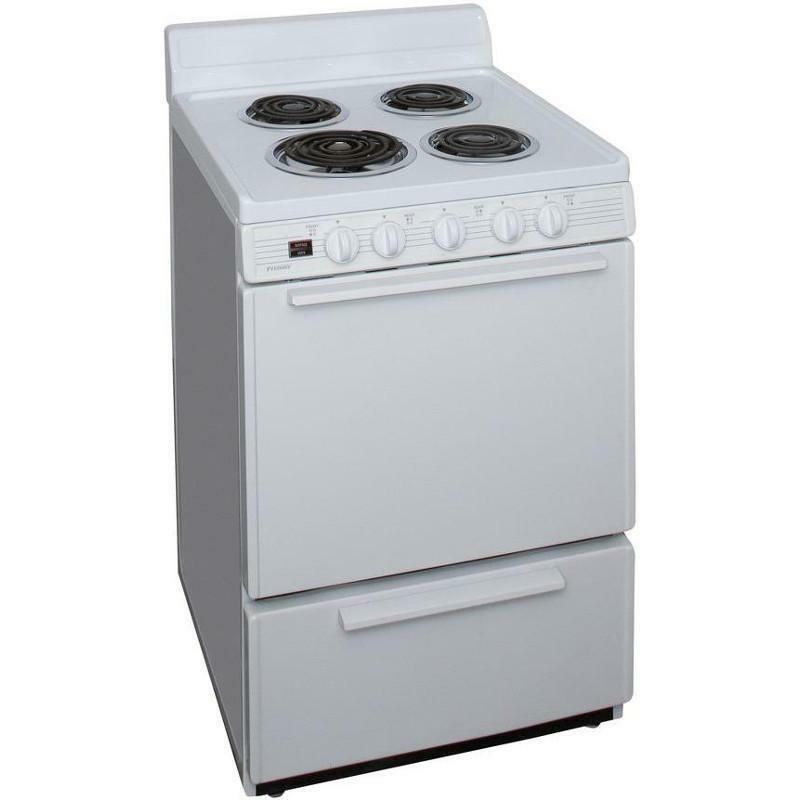 Lifetime Guaranteed Top Burners is your assurance of quality and performance. 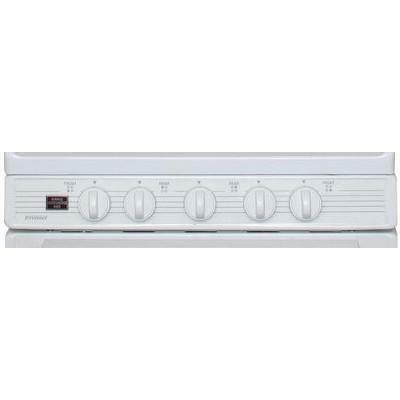 Indicator Light for oven and surface on 30" models, surface only on 20" and 24" models. 150-degree Keep Warm oven setting keeps your food warm without continuing to cook. Burner/Element Size • Left front: 8"
Additional Dimensions • Depth including handle: 27.5"
Warranty • 1-year on parts and labor. 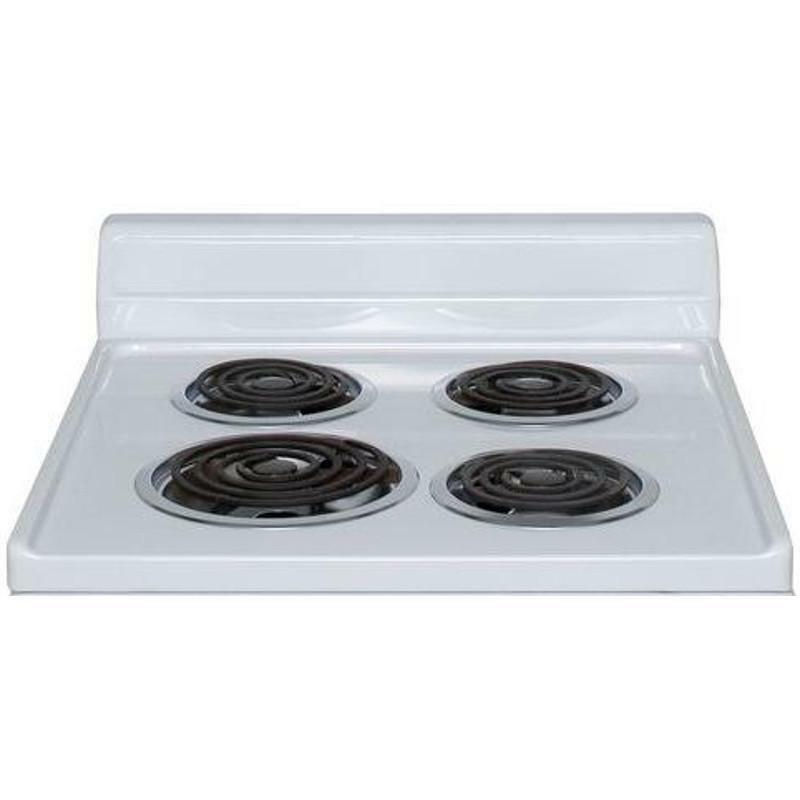 • Lifetime warranty on top burner elements.